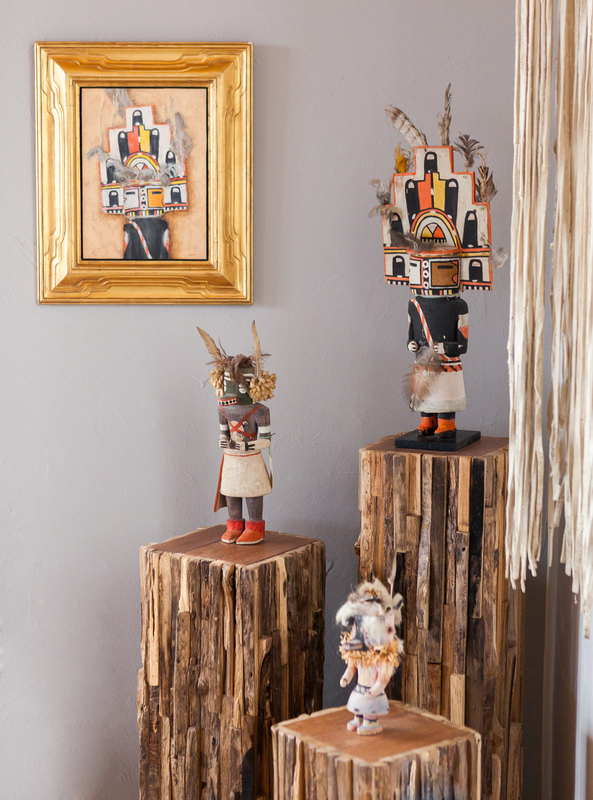 This couple originally hailing from Omaha moved to Santa Fe to begin a successful native american art trade company after long careers in classical music. 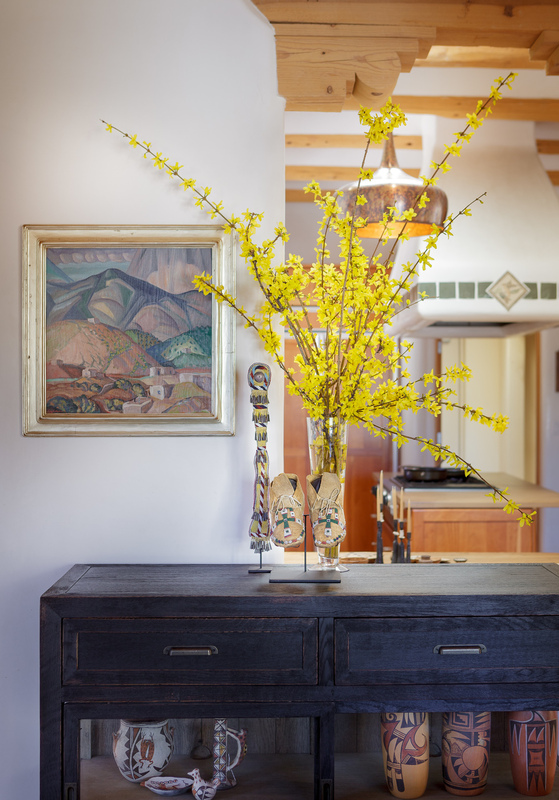 The home owners have been collecting fine are for their entire adult lives and this house serves to display the very best of their extensive collection. 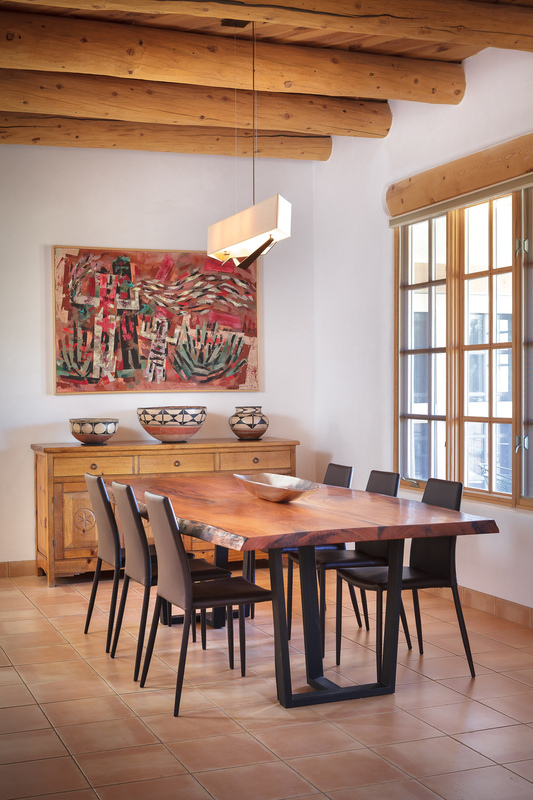 When they finally decided to make Santa Fe their full time residence, they enlisted the help of interior designer Chandler Prewitt. 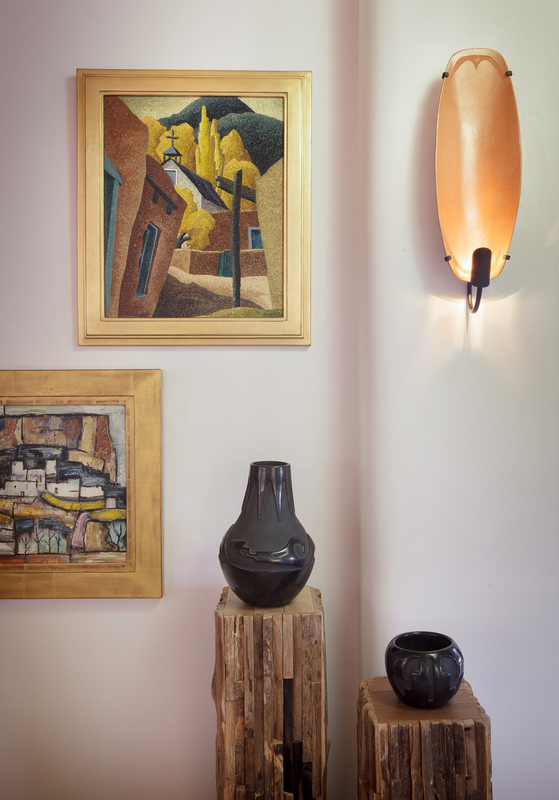 Our first priority was to change the lighting design and wall color to best display the collection. 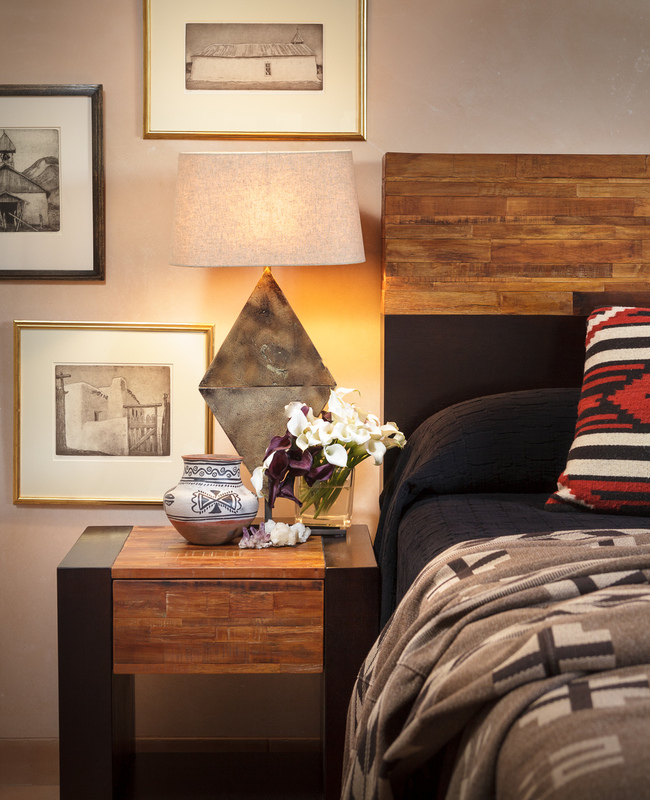 Modern and rustic elements were mixed with the traditional southwest furnishings and textiles to create warm living spaces. 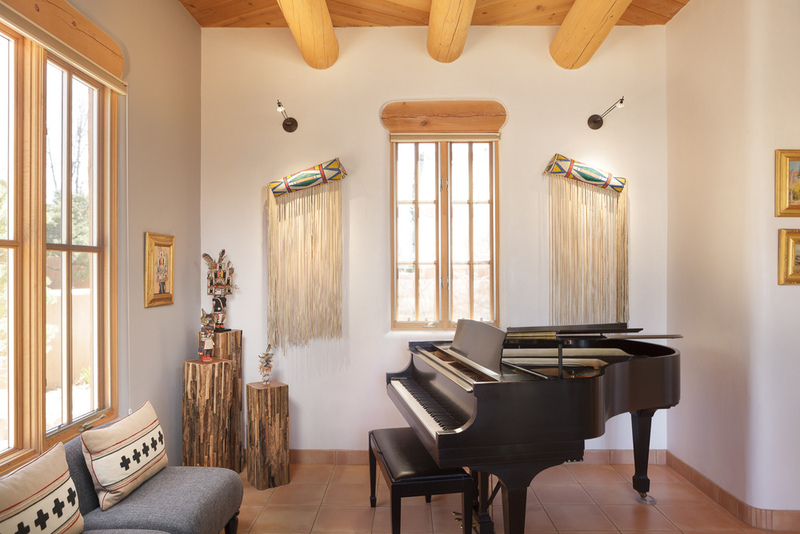 One of the highlights of this projects was the design and fabrication of custom sconces made by local micaceous clay artist and iron workers.